Brian Mann and Nate Milton embark on the worst decision of their lives – fully chronicling every WCW Nitro from the year 2000. The Satellite of Hate has reached a premature end to its time in orbit as Brian Mann and Nate Milton are joined by Chris Urbanowicz to review the final edition of Nitro. Why is the show ending? Why is Shane McMahon on Nitro? Why is Ric Flair wrestling in a t-shirt? Lance Storm joins Brian Mann and Nate Milton on the Satellite of Hate to review the Nitro where he faces Booker T for the World Title. 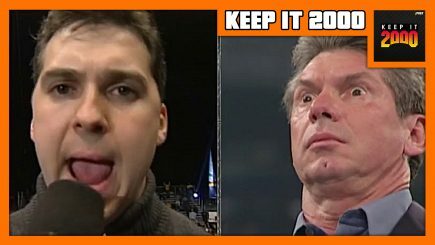 Lance also shares behind the scenes stories from his time on the WCW roster – including Vince Russo’s original idea to make him Eric Bischoff’s illegitimate son. Brian Mann and Nate Milton are back to discuss a Nitro so bad, no one dared watch it with them. Sexual subtext is on full display with the in-ring debut of Kwee Wee and the Viagra on a Pole Match. Zach Linder (WWE.com) boards the Satellite of Hate with Brian Mann and Nate Milton as Billy Kidman promises a sextape. Comedian Kath Barbadoro (WrestleSplania) boards the Satellite of Hate with Brian Mann and Nate Milton for a one night tournament to crown a new US Champ. Screenwriter Evan Susser (Fist Fight) boards the Satellite of Hate with Brian Mann and Nate Milton for Booker T’s championship coronation. Since it can’t all be good news, Vince Russo returns and brings Kiwi with him. Chris Urbanowicz (Editors) returns to the Satellite of Hate with Brian Mann and Nate Milton for a particularly musical WCW Nitro – Booker T gets his old theme back, David Flair does karaoke, and Jeff Jarrett holds choir auditions. Mouse Jones (TRL, He Man Women Haters Club) hops on the Satellite of Hate with Brian Mann and Nate Milton to discuss another chapter in the Terry Taylor Era. The Cat makes a four corners title match, Kanyon signs books, and Jim Duggan is sacrificed at the altar of Goldberg. Come for the Nitro review, stay for the Roll Bounce vs. 8 Mile debate. 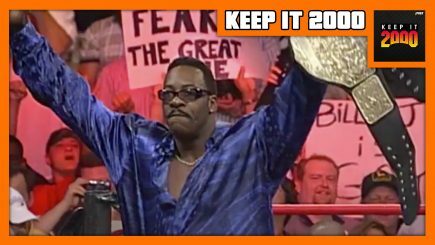 Former WWE Creative member and @WWECreative_Ish mastermind Robert Karpeles joins Brian Mann and Nate Milton to discuss a surprise Russo-less Nitro. Ernest Miller is now in charge and he isn’t wasting time changing the rules and booking World Title matches. Plus, Lance Storm makes his WCW debut. Sherdog’s Jordan Breen joins Brian Mann and Nate Milton to discuss the second worst bald babyface turn of all time. Goldberg explains why he’s a heel while Flair and Page take themselves off TV. Don’t worry – General Rection’s grandfather is here to fill the void. The Satellite of Hate is back in orbit as brothers Brian Mann and Nate Milton are joined by Fucked Up’s Damian Abraham to review a Nitro that Brian attended back in 2000. 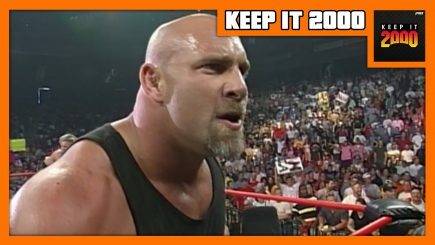 Also included on the June 5th edition of Nitro – Russo and Bischoff book themselves against legends, Hogan heads back to Hollywood, and the in-ring return of Goldberg. The Satellite of Hate is back in orbit! After months in hyper sleep, Brian Mann and Nate Milton are awoken by a surprising call to action. 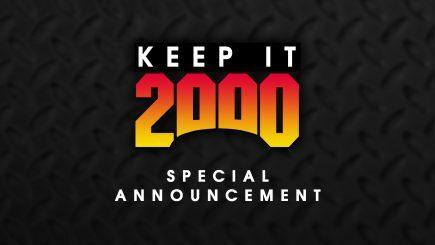 Listen now to learn when KEEP IT 2000 is returning. 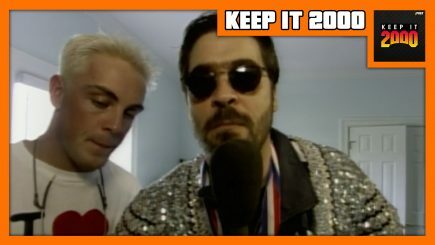 Comedian Patrick Monahan boards the Satellite of Hate with Brian Mann and Nate Milton to break down the May 29th, 2000 episode of Nitro. SWERVE – this one wasn’t completely terrible! Rachel Evans (Snarled, AfterBuzz TV) boards the Satellite of Hate with Brian Mann and Nate Milton to break down the May 22nd, 2000 episode of Nitro. Also included in this truly terrible wrestling program – the cruiserweight title sinks to lows, the World Title maybe changes hands three times, and Billy Kidman accidentally reveals his favorite kinks. Writer/comedian Nick Wiger (Comedy Bang! Bang!, Doughboys) jumps on the Satellite of Hate with Brian Mann and Nate Milton to break down the May 15th, 2000 episode of Nitro. Also included in this truly terrible wrestling program – Ric Flair gets a new title, Norman Smiley & Ralphus get a new job, and David Flair gets a new dad. Jay Hunter & V1 from OSW Review hop aboard the Satellite of Hate with Brian Mann and Nate Milton to bid farewell to David Arquette’s WCW run. 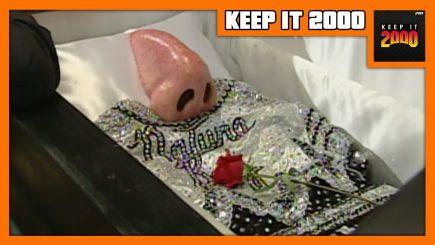 Also included on the May 8th edition of Nitro – a parade of heel turns, the continuing burial of The Filthy Animals, and the return of Goldberg’s monster truck. 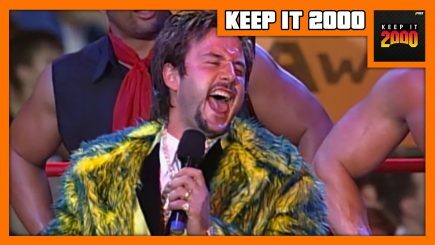 Comedian Chris Trew joins Brian Mann and Nate Milton for the apex of the David Arquette saga with a review of the May 1st Monday Nitro – highlights include the return of Rey Mysterio, the end of Tank Abbott’s push, and a graveyard brawl. Rapper and podcaster Open Mike Eagle (@Midnight, The Eric Andre Show, Tights, And Fights) boards the Satellite of Hate with Brian Mann and Nate Milton to ring in the David Arquette Era. The trio discusses a Sting/Vampiro First Blood match, Tylene Buck’s broadcasting debut, and the offensiveness of Hulk Hogan’s vest. Former Editors guitarist and music producer Chris Urbanowicz returns to the Satellite of Hate with Brian Mann and Nate Milton for a review of the April 17th edition of Nitro – another breakneck Russo episode dealing with the fallout of Spring Stampede. 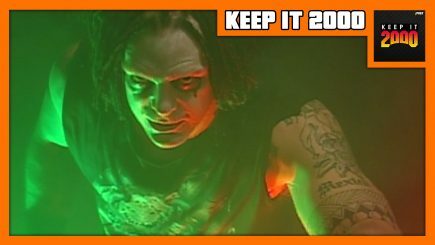 Former WWE writer, MLW host and @WWECreative_Ish mastermind Robert Karpeles joins Brian Mann for a deep dive into the infamous 4/10 episode Nitro. 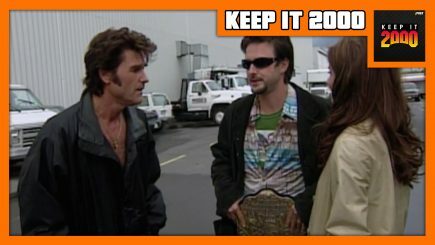 It truly is the beginning of the end, on this week’s KEEP IT 2000.